Since we’ve recently moved to Tacoma,WA, USA, after living in St. Louis, MO, for more than 40 years, I’m still discovering awesome aspects of my new life. Here are three of them I experienced over the past week. 1. 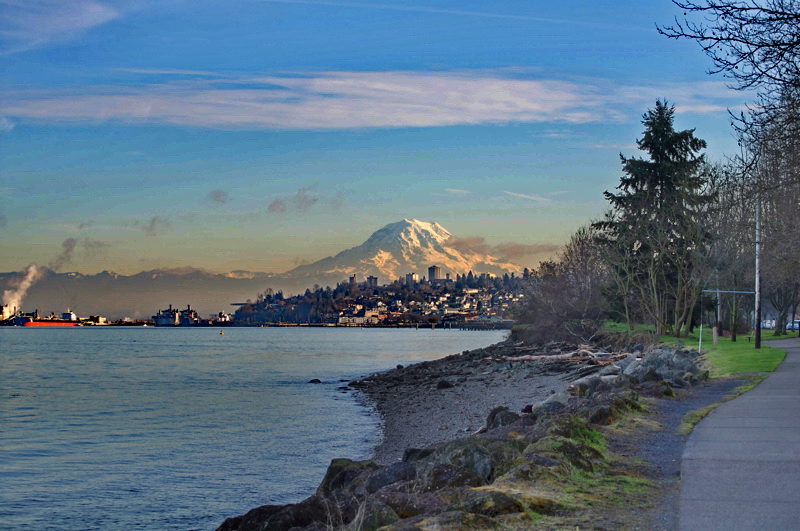 We had one clear day last week when we could see our glorious Mount Rainier. Thanks to my husband for sharing this photo. 2. 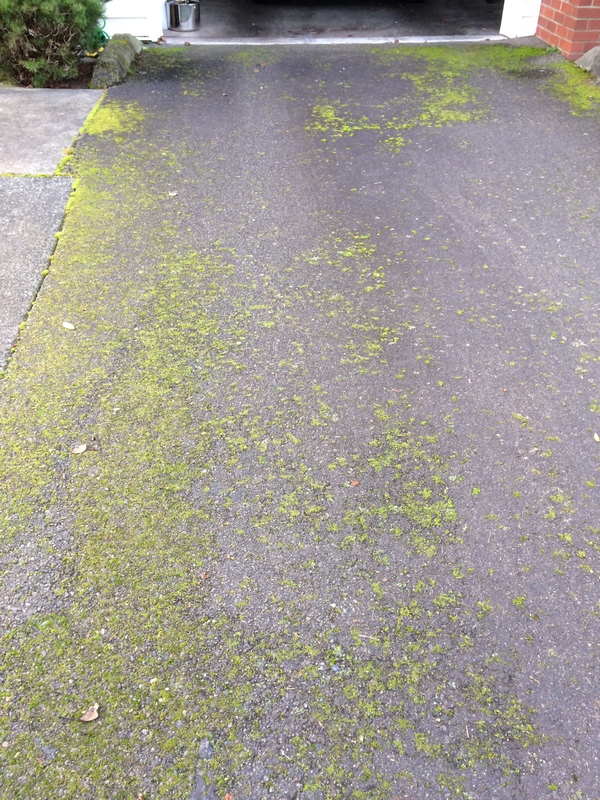 One thing I’m still getting used to since moving here to the Pacific Northwest is the fact that moss grows on EVERYTHING: on roads, on sidewalks, and, as here, on our driveway. 3. On Sunday afternoon our Seattle Seahawks had a dramatic come-from-behind victory over the Green Bay Packers to earn the chance to defend last year’s Super Bowl title on February 1. Go Hawks!